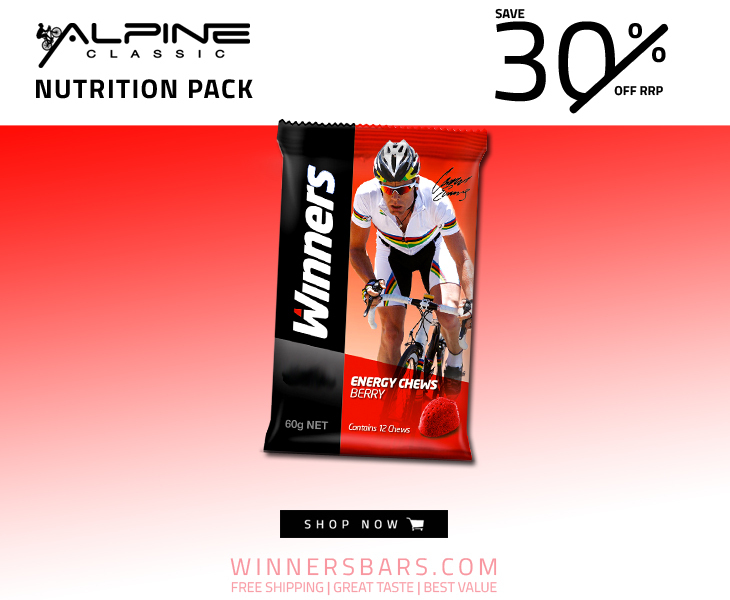 Winners Sports Nutrition are proud to be the Official Nutrition Supplier of the Alpine Classic 2019. 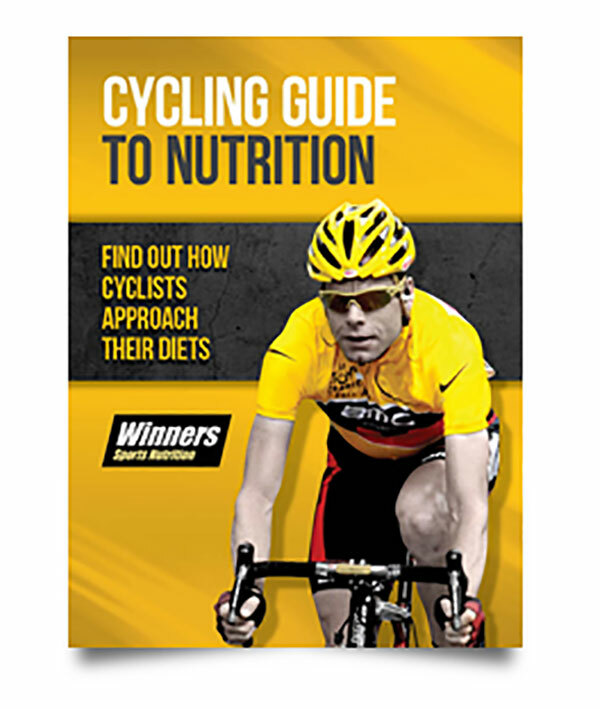 Winners energy bars, gels and chews have been developed specifically for cyclists and are used and recommended by cycling champion Cadel Evans. Nutrition plays a vital role for extended rides ensuring you maximise performance and complete the ride in a healthy state. • Consume up to 90g of carbs for every hour of riding. • Eat and drink consistently during the ride. Set your watch alarm to go off every 20 mins. • Eat high carbohydrate foods and taper training in the days before the ride. • Eat foods containing carbs and protein within 30 mins of completing a ride to aid recovery. • Test your nutrition plan prior to the ride. People respond differently to different foods, make sure your body can cope under ride conditions.